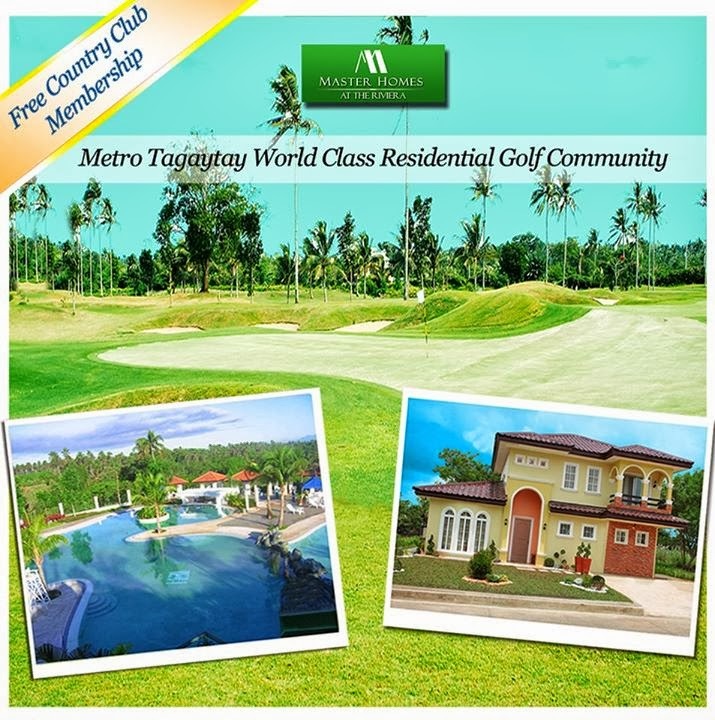 Home investment in Riviera Villas located along Aguinaldo Highway Silang-Metro Tagaytay which is an enclave inside Riviera Golf and Country Club is a sure income generating factor to every investor searching for their vacation home even to our Balikbayans Overseas Filipino Workers . Owning a house and lot package at Riviera Villas ensures a buyer with ready tenants – since Riviera Golf & Country Club is a very popular Golf Course and to mention its existing membership and guests who are always inquiring of a ready place to spend week-ends. Even expats come to see if they can rent on monthly basis. We also offer Property Management to those who would be interested to have their house and lot rented. LILAC and MUSELLA where the price is reasonable and will leave most of your savings untouched. 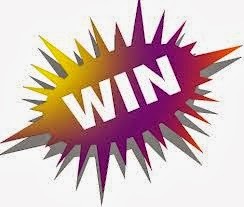 "ALL WIN BUY" it so affordable with a bigger lot-cut of land . Plus every villa is inclusive of One Country Club share. It has fully developed access roads. The main road is 20 meters wide while the secondary road is 12 meters wide . Aside from using other amenities , you can enjoy play golf for free on a existing golf course that covered on your country club share . 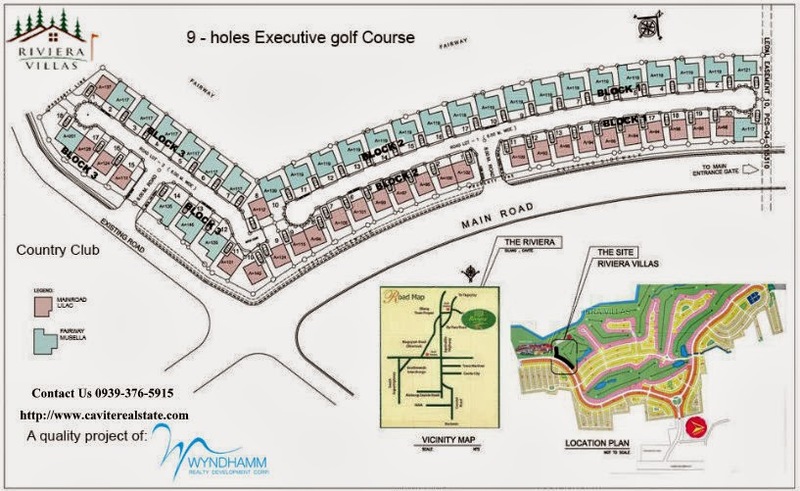 The Villas are located along the Fairways of the Executive Golf Course and along the mainroad. With all these highlights and benefits the introductory price is very reasonable at Php 5M - 7M. The existing amenities are only a few steps away from the Villas such as the mini Country Clubhouse, 9-hole par 3 executive golf course, swimming pools, tennis courts, picnic area etc. with FREE Country Club Share Membership . 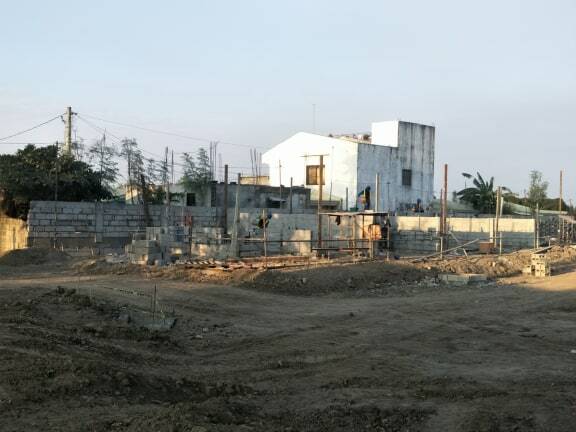 With Riviera Villas is a lifestyle experience giving one a sense of fulfillment in this time of your life. The cool relaxing ambiance of a well balanced leisure community with the existing golf course, swimming pools, tennis courts, friendly neighbors and members will add zest to your daily living. 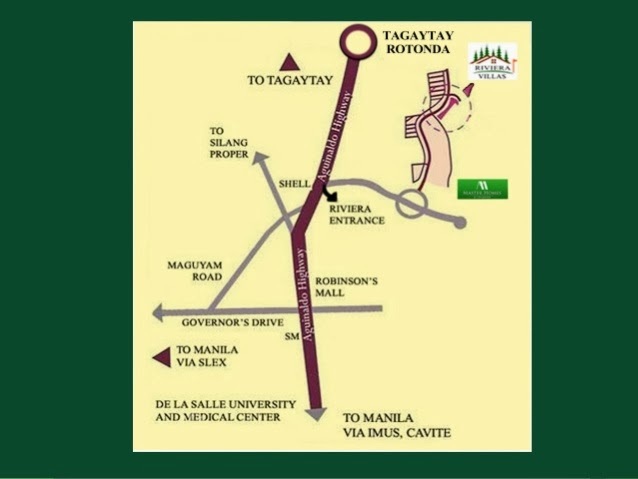 - Enjoy the benefits of the first class nearby hospitals of: Tagaytay Medical Center & De la salle Medical Center . 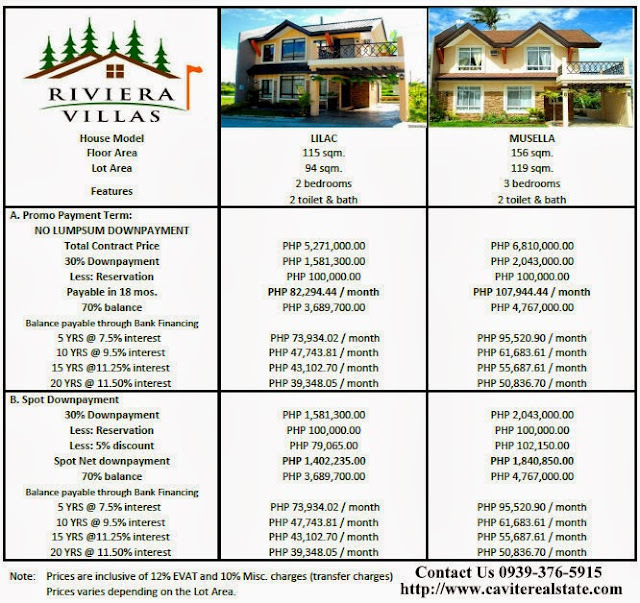 The Riviera Villas is a"ALL WIN BUY" investment offers recreational facilities that include a Ridge Cafe overlooking the Ilang-ilang river, two swimming pools, a Par 3 Executive Course with mini-clubhouse, two outdoor tennis courts, and a beach volleyball court.